Learn How a Sedation Dentist in Montrose Makes Treatment Easy! 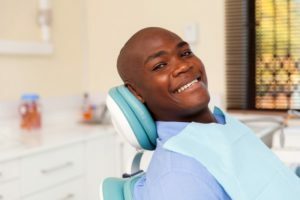 If the thought of sitting in a dental chair makes you sweat, your heart race, and your body numb with fear, you may want to keep reading this post from your sedation dentist in Montrose. Not only can your dentist put you at ease, but they can do it safely, regardless of the intensity of your fear or anxiety. There are multiple ways sedation dentists help patients get the treatments they need, and you are no exception! Learn how they do it today! Sedation dentistry is completely safe, as long as the proper precautions are taken prior to treatment. For example, patients who are obese or suffer from obstructive sleep apnea should mention it to their dentist first because they may be at higher risk of experiencing complications. With that being said, when administered by a trained and qualified dentist, you can expect sedation to be smooth and successful. While many people are eligible for sedation, the most common group is patients who suffer from fears or anxiety while undergoing dental treatments, including younger patients. It’s common for patients to barely remember much of the treatment after completion, which makes it much easier to perform future treatments as well. What Types of Sedation are Offered? Nitrous Oxide – The most common form of sedation available, nitrous oxide is administered through a nasal mask at the start of the procedure. The amount of gas can be adjusted on the fly and is ideal for patients with mild levels of anxiety or difficulty receiving treatment. Once treatment is complete, patients can easily drive back home since the effects wear away quickly. Oral Conscious – This form is taken in a pill the day before and the day of treatment. It’s intended for patients with moderate levels of anxiety and difficulty, meaning you’ll want to have a ride from a family member or friend planned after treatment is finished. Intravenous (IV) – Reserved for patients with severe anxiety, IV sedation is an advanced method that offers the best aspects of both nitrous oxide and oral conscious sedation. It also requires patients to organize a ride back home. With so many options, there’s no reason to skip necessary dental treatments, no matter how simple or complex. Schedule an appointment with your dentist today to get started! Dr. Shane J. Bowen has advanced training in sedation dentistry to help patients with all levels of anxiety or fear of dental treatments. Ever since he earned his dental degree from the Baylor College of Dentistry, he’s been practicing for over 14 years with no signs of slowing down. To learn more about his practice, contact him through his website. Comments Off on Learn How a Sedation Dentist in Montrose Makes Treatment Easy!